This blog has been so great for getting me involved. 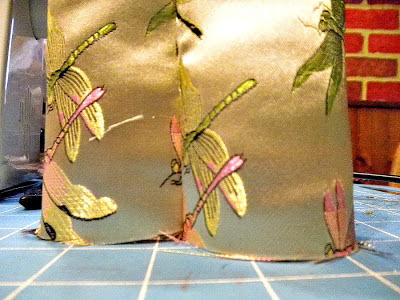 First I got to participate in the Envelope Clutch Sew Along over at See Kate Sew, and now a sewing challenge. I made this dress for the Pattern Remix Challenge that is going on at Project Run and Play. 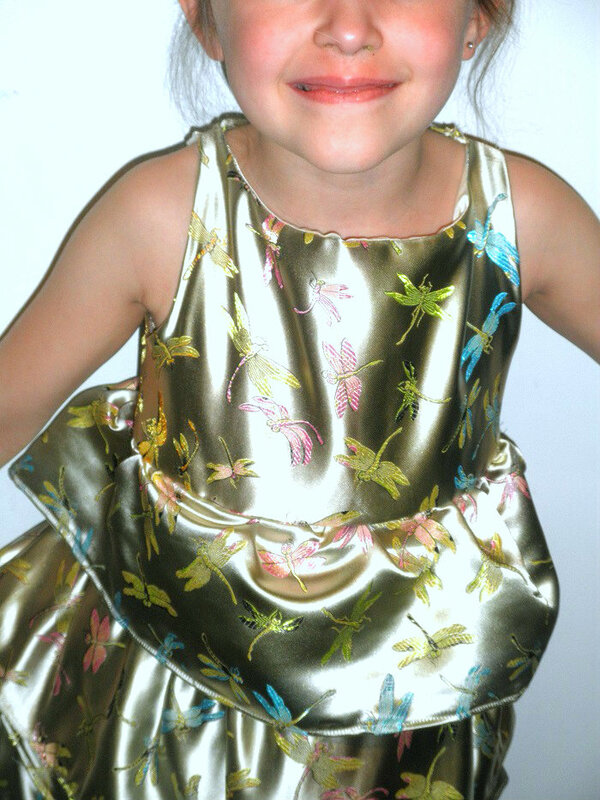 The original pattern is for the Spring Fever Dress from Melly Sews. It was such a great pattern to begin with so I only made a few changes. I wanted a scoop back with a bow to make the dress extra special for my niece but I needed some way to open and close it. That's how it became a buttoned bow. The biggest challenge on this dress was the fabric. I have heard plenty of stories about embroidered Chinese brocade, but until now I have never attempted to sew with it. It practically falls apart when you cut it, and then it changes shape as you sew. This fabric was a nightmare, but I am determined to master it, so look for more projects with this type of fabric in the future. I made this dress in size 5 for my niece so that she would have something special to wear when she went to visit her mother, who she misses terribly, in the hospital. It is modeled on my daughter, who actually wears a size 6, because I didn't want to bother my sister while she is sick, to ask if it was okay to post pictures of her daughter. 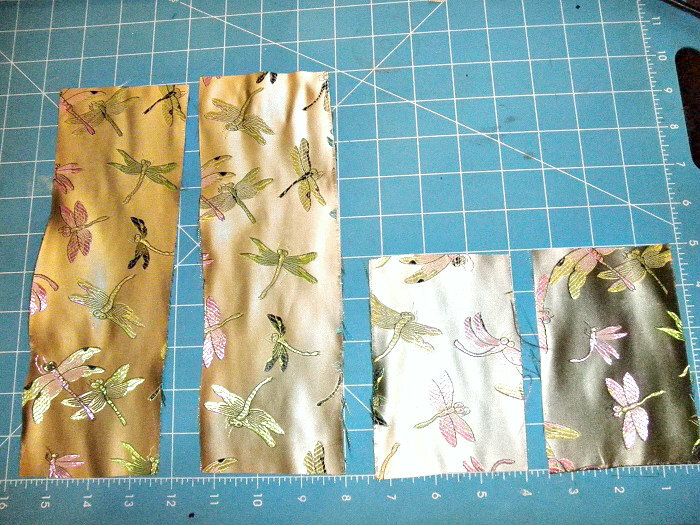 First visit this post on Melly Sews and print the pattern. Follow her tutorial (available on the same page) for sewing the skirt. 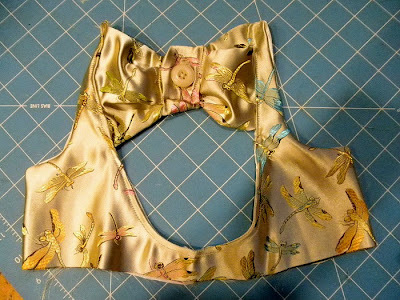 Set the skirt aside and then follow the next few steps to make the buttoned bow. 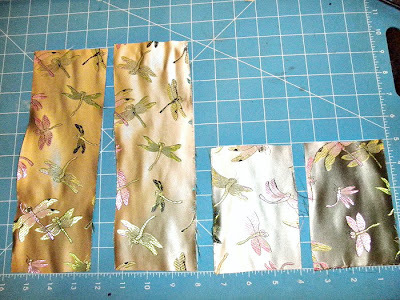 These directions are for a making a bow that fits into the scoop on the size 5 Spring Fever Dress by Melly Sews. It would probably work on a size 4 as well if you just hid a little more of the ends in the seam allowance. 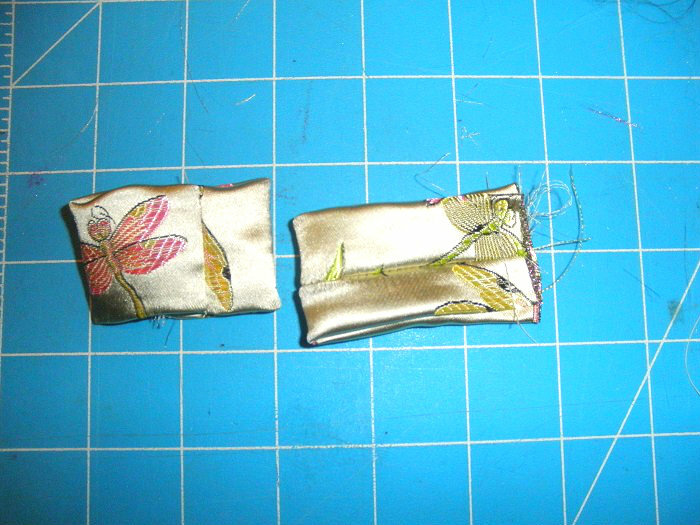 Fold each of your smaller pieces in half long ways with right sides together and sew along the edge. 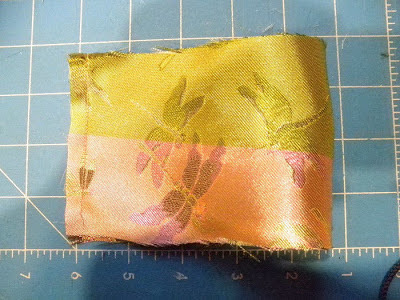 Then turn your tube of fabric right sides together and press so that the seam is in the center back. Do this for both of the smaller pieces. 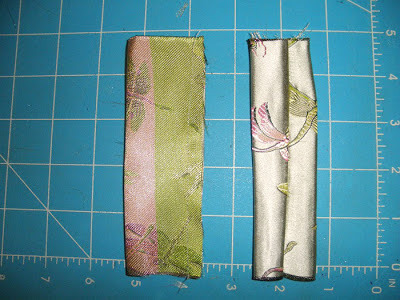 Now fold each tube in half with right sides together, the other way and sew the ends together. Again, turn the it right side out and press with the seam in the center of the back. Choose which piece you want to show when the dress is being worn and make a button hole on that side. This is not the type of garment that you would usually use a bound button hole on. I just did it because I wanted to practice the technique. Turns out it doesn't work so well through multiple layers of nightmare fabric. Feel free to use your machines button hole feature. On the other piece, sew your button. You may want to mark your fabric first so that your centers match better than mine. Can you tell that is the step I always forget? 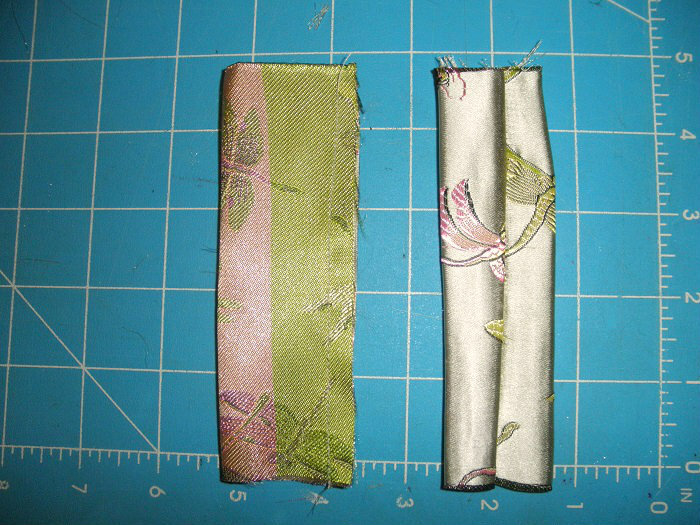 Now take your larger strips of fabric and fold them in half with right sides together and sew the ends as shown in the picture below. Do this for both large strips of fabric. Turn the fabric right side out and press so the seam goes down the center of the back on both pieces. Fold and position the raw edges of the bow the way that you want them and then slip them into the edge of the fabric with button. Top stitch in place. Do the same for the other bow side in the fabric with the button hole. 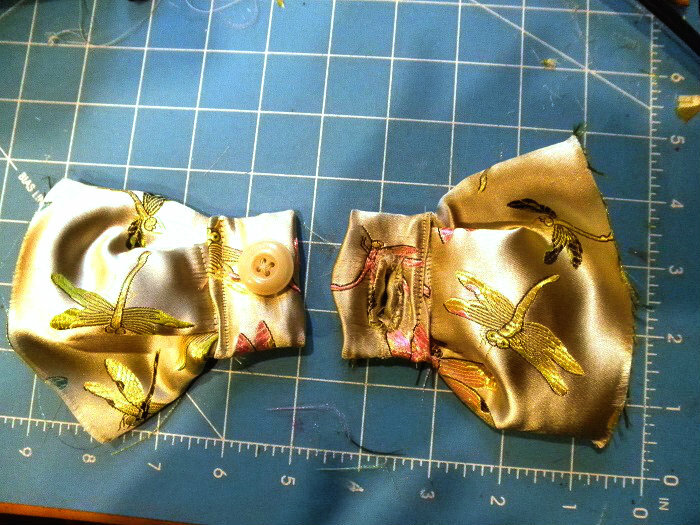 Now you have a finished button up bow. 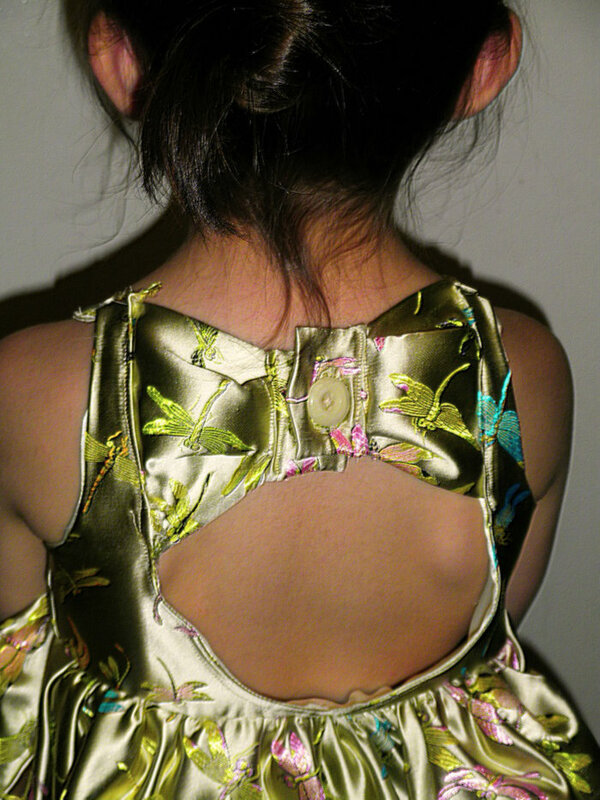 If you are planning to add it to a scoop back dress sew the back of the dress main fabric to lining with right sides together leaving an opening on each side of the scoop for the bow edges. Press your seam allowance under. Then slide the unfinished edges of the bow into the opening and top stitch around the entire scoop back. If you are planning to use this bow for a different project, you may need to press under the seam allowance and slip stitch the raw edges of the bow closed. You could also change up the size a bit and make this into a belt or use it to close a handbag. The possibilities are endless. Have fun and don't forget to check out all of the other creations at Project Run and Play. Thanks for the tutorial! Love the scoop back. What a fun remix!